The National ID card project was first conceived by late PM Atal Bihari Vajpayee, who mooted the idea of a National ID card in 2002, which UPA then named Aadhaar. 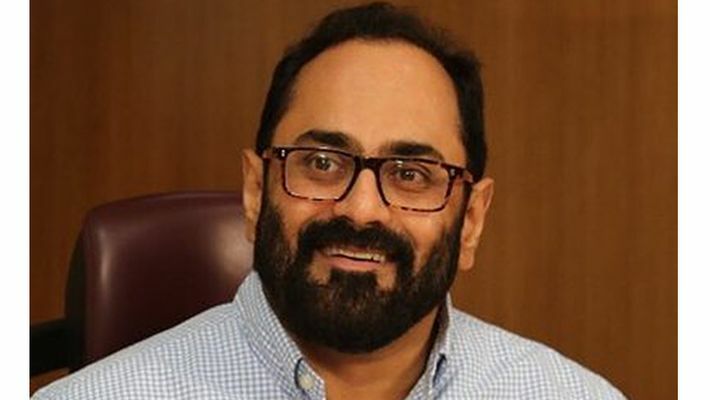 Member of Parliament, Rajeev Chandrasekhar has welcomed the Supreme Court's judgment on Aadhaar. He had joined the original Aadhaar petition in 2013. It was a four-one majority judgment, where the Apex court said Aadhaar should be used to access welfare schemes, but said no to making it mandatory for bank accounts, mobile phone connections and school admissions. Supreme Court verdict reaffirms the steps that Narendra Modi government took to transform UPA Aadhaar into the current corruption-free subsidy delivery platform - to ensure that crores of poor Indians, who had to struggle with corrupt middle men to avail government benefits, no longer have to do so," said MP Chandrasekhar. "Narendra Modi Government took several steps to ensure that thousands of crores spent by UPA without any legislation, debate or scrutiny was put to proper use despite many misgivings about it. NDA ensured a proper legislation, debates in Parliament and outside, and built safeguards to ensure concern of abuse was addressed and it was integrated into Narendra Modi’s overall JDY Direct Benefit Transfer architecture. The National ID card project was first conceived by late PM Atal Bihari Vajpayee, who mooted the idea of a National ID card in 2002 which UPA then named Aadhaar," he added. The judgment of the SC exposes the litany of lies from the Congress, the government that spent tens of thousands of crores with no debate or scrutiny or legislation on their Aadhaar. "The main concern regarding rights of citizens, imbalance in Aadhaar Act vis a vis UIDAI has been corrected by the Supreme Court and UIDAI will now evolve into a transparent accountable institution," he said. Ban on metadata storage, minimum data and only six months of data storage can strengthen the citizens' Right to Privacy. Speaking about many immigrants getting hold of Aadhaar to claim their rights over various benefits, MP said, "Importantly the majority judgment has ruled that it is Government’s and UIDAI’s obligation to ensure no illegal immigrant gets an Aadhaar - a fundamental and perhaps intentional gap created during UPA where several thousands and lakhs of illegal immigrants got Aadhaar and used that in turn to get voter IDs and passports as a grave national security risk."